It's really easy to get bogged down in filling the calendar out, and make it another chore that you avoid each month, but with a plan in mind, you can get it done in no time at all. 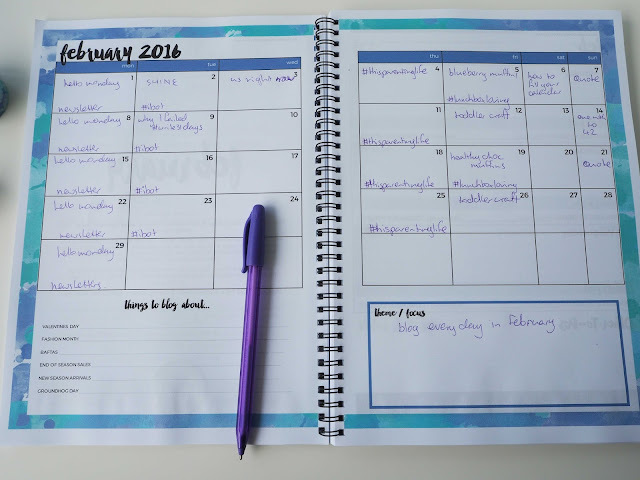 1 - Grab a pen and calendar even if you prefer to keep track with a digital calendar, a pen and paper will help you work out an outline or draft that you can then transfer to your online calendar if that's what you prefer. 2 - fill in the "regulars" If there's a link up you always join in, or a post theme you always write, fill it in now. Having daily themes that fit with your keywords and categories can help fill your calendar quickly, and give you ideas for more posts. 3 - it's ok if you only use keywords I tend to write down post title ideas. They're often changed once I start writing, but I find it a good prompt to get started. But if you don't write post titles first, or you really don't know where that idea will take you, just write down your keywords. 4 - fill the gaps Once you've got all your regulars written down, fill the gaps. Don't forget to schedule your product reviews, and guest posts! 5 - remember that a plan isn't set in concrete! Make changes if you need to. 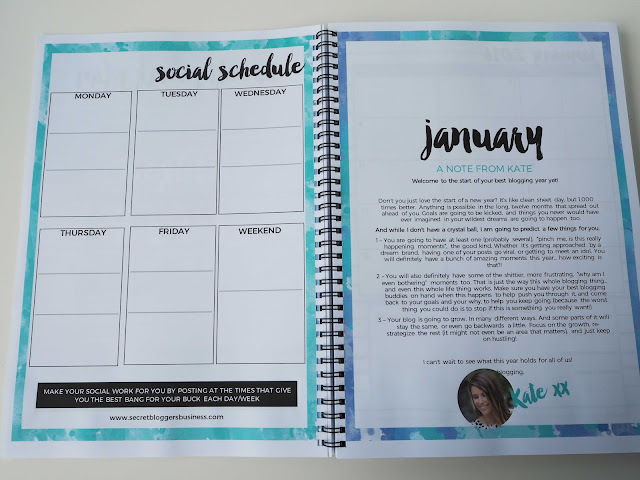 I had been eyeing off the #blogyeah planner from Secret Bloggers Business for weeks before I finally bought it when it went on sale at the end of December. 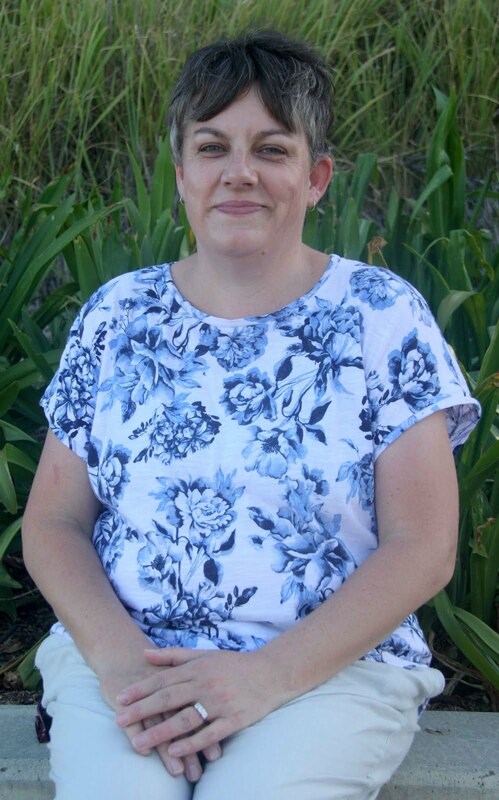 The biggest frustration I had before purchasing was that there were no reviews around blogland! I really like to be able to make informed decisions, even when purchasing digital products, so hopefully next year when someone is trying to decide whether to purchase, my review can help them. 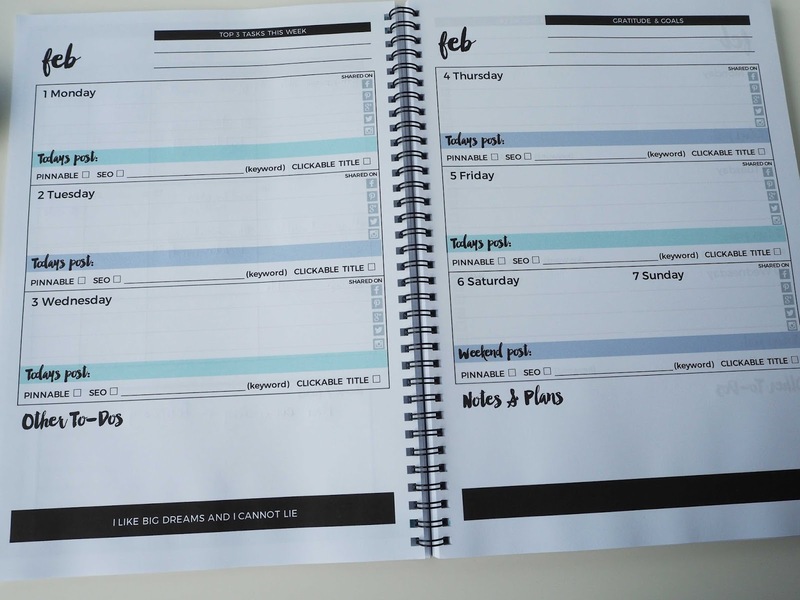 I have to say, my favourite feature of the planner is the faint lines in each box of the weekly view. When I first downloaded the planner and had a look on screen, I was wondering how successful I would actually be at using the planner, because my handwriting without lines becomes a caterpillar scrawl! I've printed the planner out on 120gsm paper, so it's thicker than normal, and just popped up to Officeworks to bind it. The digital download also comes with a workbook for getting your goals and ideas for the year down on paper (but I forgot to photograph it.) 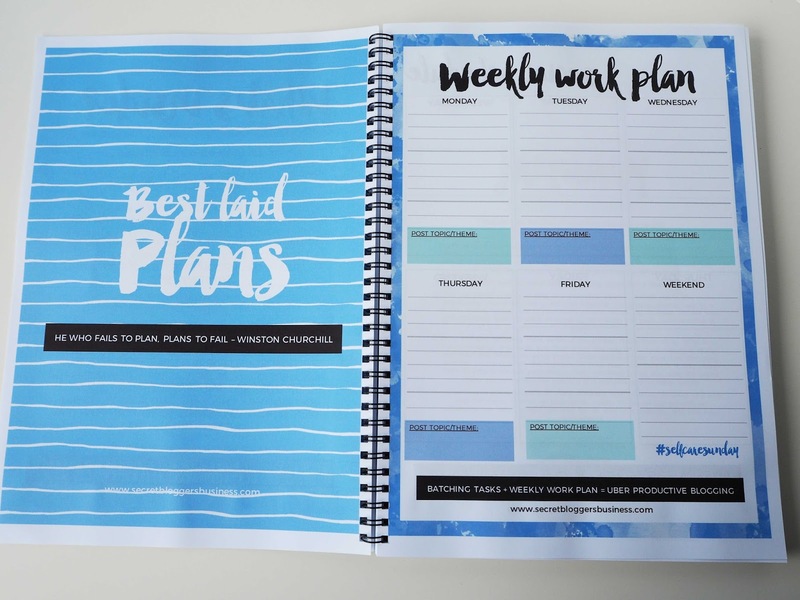 It's set out in the same design and colour scheme as the planner, and it will all print easily on A4 paper, or 8.5x11. I'm not sure that I would purchase this product again. For a digital product, it is quite expensive. But the key to using a planner is writing in it, so I guess this planner is one up on all the other ones I've purchased over the years. I'll reserve decision until the new planner comes out later in the year. Meanwhile, I can enjoy my full editorial calendar! 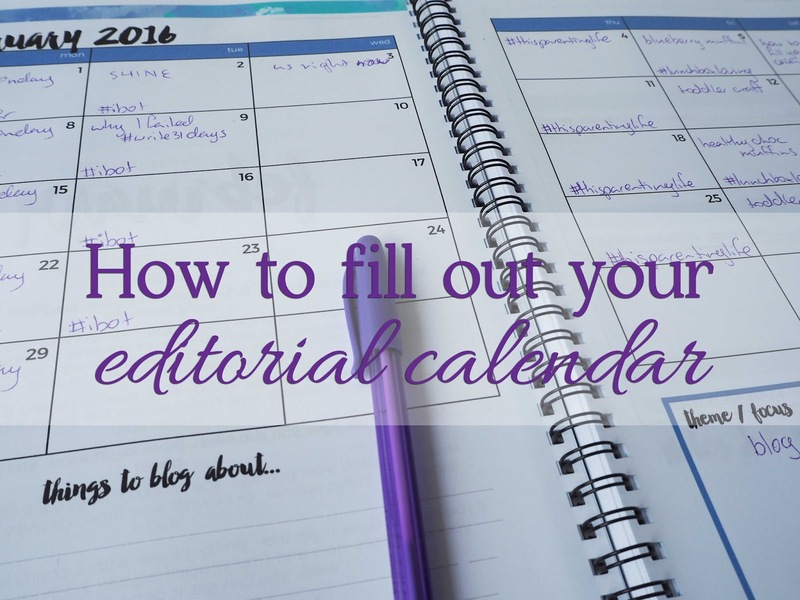 Do you have a full editorial calendar? Do you stick to your plans? I downloaded the planner too but I'm yet to print it out, so you're one up on me! I actually liked the exercises to look back on the past year and the prompts to set goals for the coming year. As I haven't got around to printing it out yet, I've actually started using my Google Calendar as a blogging editorial calendar and so far, so good! I use a planner/diary. Mine is a Master plan one from Milestone Press. I wasn't initially impressed with how much it cost (approx $40) but I am now on my 2nd year and still love it! I have this journal also, and have found it AMAZING! 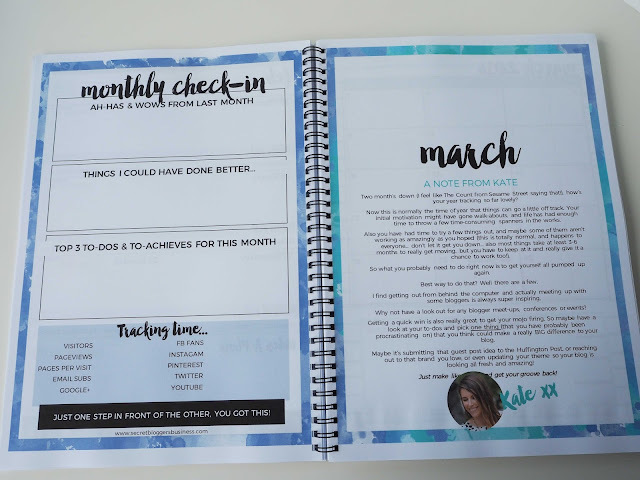 Getting my editorial calendar in order has really helped me to feel more in control of my blog and less stressed about everything I need to do. Great post!